Yes-But was founded in 1996 by bestselling author Berthold Gunster. The former theatre director came up with the idea to create an interactive workshop that incorporates theatrical elements such as cabaret, theatre, theory and audience participation. The core of the workshop revolves around our human tendency to respond to life’s problems by saying “Yes-But”. The first few years were dedicated to developing and mastering the program and in 2005 the company trained 250.000 participants nationally. 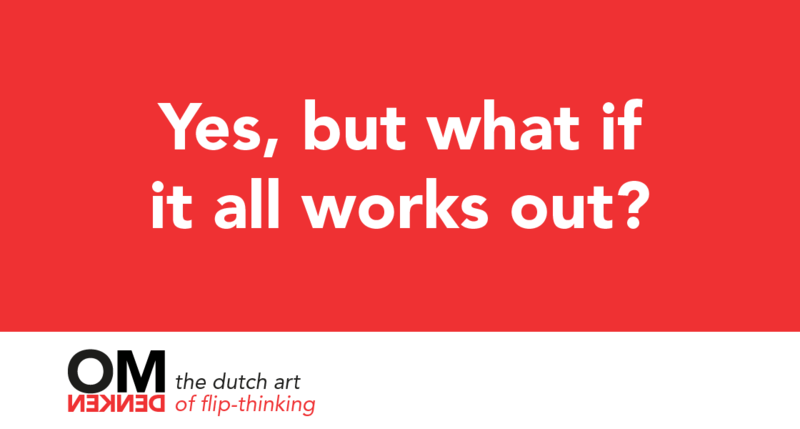 Since then, the concept of “Yes-But” has become became the Best Kept Secret In the Netherlands. Yes but what if it all works out? Since 2005 the company has grown considerably, having hired many new trainers and actors to perform the shows and workshops. In addition, publishing house A.W. Bruna asked Gunster to write a book about his Yes-But concept. This led to the release of the book Yes but what if it all works out, which entered the Bestseller list and, in its first year, received a nomination for the Best Management Book in 2006. To date, over 50.000 copies have been sold which is a big hit in the Netherlands, a country of just 17 million people. As the business continued to grow, the ‘Yes-But’ concept developed into the theory of Omdenken. 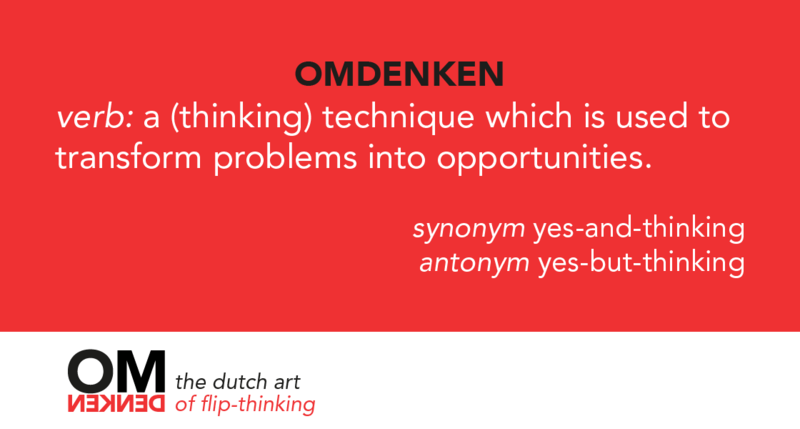 In 2008 Berthold Gunster outlined this theory in his book Huh – the technique of Omdenken which explains Omdenken’s flip-thinking technique and how the 15 strategies are used to transform problems into new possibilities. The popularity of Omdenken’s no-nonsense way of flipping problems into opportunities has led to the release of an additional 7 books. Each new book focusses on more specific aspects of life such as communication or raising children. The books are a fun and practical exploration of how to use Omdenken in all of life’s ever-changing situations. The most popular book Huh – the technique of Omdenken was reprinted in 2015. Omdenken is based in Utrecht, The Netherlands and employs 27 people. Every year, roughly 50.000 people attend a workshop or training session, both in the Netherlands and abroad.